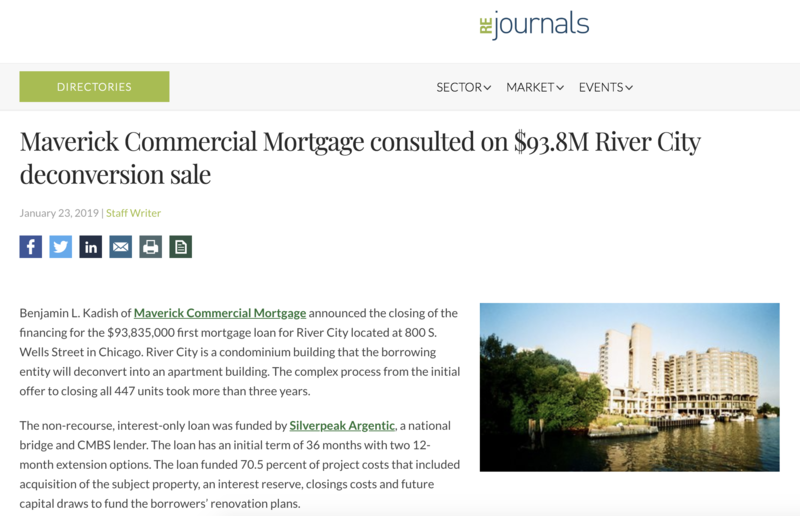 Maverick Commercial Mortgage secured the funding for a $93,835,000 first mortgage loan for the acquisition and renovation of the River City condominium development in Chicago’s South Loop neighborhood. The non-recourse, interest-only loan was funded by Silverpeak Argentic, a national bridge and CMBS lender. This complex deal took more than three years to complete, and it marks the largest condo deconversion to date in Chicago. Read more at REJournals.